As a practitioner working in Prevent I am always grateful for the opportunity to engage with and learn from academia. Whilst I cannot profess to have any theoretical or conceptual expertise in areas such as “cumulative or reciprocal radicalisation” or “interactive escalation,” I do feel that my personal experiences of working in counter terrorism can draw out effective examples of how extremist views can amplify each other, and how we can support vulnerable people through positive, tailored interventions. Broadly speaking, the uniqueness of every Prevent case I have been involved with tells me that there is no single pathway to radicalisation. A variety of vulnerabilities or warning signs may emerge and people can be attracted to extremism for different reasons- ideological, social, psychological, political, religious or cultural. 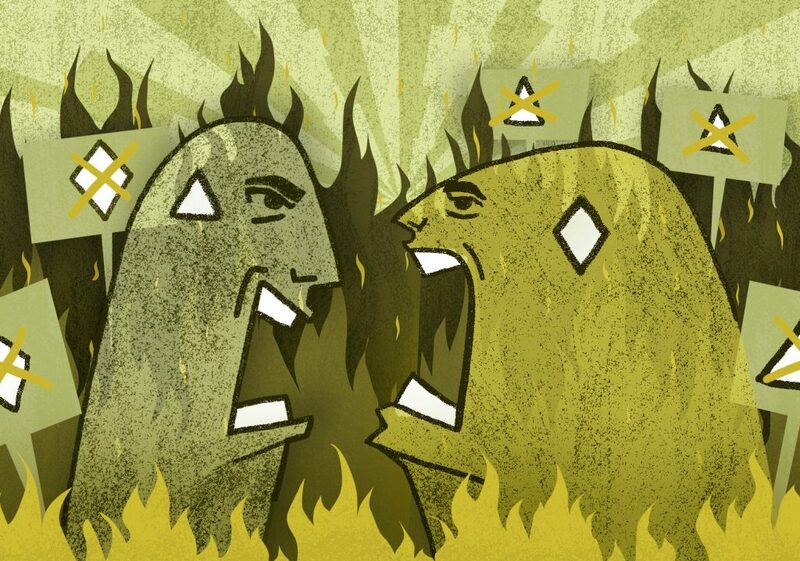 A sense of personal grievance (real or perceived) is often present. And yet although personal circumstances can vary and terrorist ideologies, particularly violent Islamist or radical right ideologies, seem to be at opposite ends of the spectrum, similarities do exist. Extremists from both sides prey on similar vulnerabilities when they recruit, they often use similar language and make sweeping generalisations about the other, they perpetuate a “them against us” mentality, advocate that ‘the West’ and Islam are incompatible, they provide simple answers to complex problems and often frame their narratives in apocalyptic terms, highlighting a moral obligation for a call to action and violence. This is reflected in two particular case studies, both teenagers, that I dealt with whereby individuals from vastly different backgrounds with contrasting political ideologies actually had a great deal in common and were supported through Prevent in similar ways. Boy A was a white supremacist. He threatened relatives, classmates and police officers with violence and openly spoke about his racist views, stating that white people were a 100% pure master race and that a race war was on the horizon. So far, so different. However, Boy A clearly felt that Islam was incompatible with the West. He had a hatred of minority communities and justified this by claiming that, “Muslims want to kill us.” White people were a “master race, 100% pure,” threatened with extinction. He believed that a worldwide race war is on the horizon and that people will be forced to “pick a side.” In anticipation, he claimed that he trained and prepared for this inevitability by hunting small animals in nearby woods using a crossbow. Hatred of the other, a “them against us” mentality, Islam vs. the West, an apocalyptic race war/end of days vision, a clear, important choice to make, a call to action- all present in the two cases. Boy A and Boy B essentially amplified each other’s voices. Thankfully, both cases were referred to Prevent and they consented to Channel support whereby tailored interventions were put in place in order to reduce the risk of radicalisation. Just as their rhetoric was similar, so too were some of the support mechanisms that put in place. For example, the promotion of critical thinking and unique, personal experiences that humanised the focus of their hatred were pivotal in each case. The boys were introduced to inspirational mentors who, amongst other things, empowered them with the confidence to think critically about issues and consider the nuances of complex scenarios. Put simply, shades of grey were introduced that challenged their black and white view of the world. For example, Boy A was shocked to learn that the advancement of DNA testing shows that a 100% pure race is a myth, that all humans are essentially related and that it can be argued that the concept of race is an artificial, human construct. Meanwhile, Boy B was well versed in the apocalyptic propaganda perpetuated by Daesh, but he actually knew very little about faith itself. He had never read scripture and had never attended a masjid, or mosque. I actually gave him his first copy of the Qur’an and his mentor, an Imam, took him to a local mosque and guided him towards a more positive interpretation of faith. To provide him with an enriching personal experience, Boy A was invited on a day trip to the National Holocaust Centre and Museum where he had the unique opportunity to spend time with a Holocaust survivor, a living witness to the horror of concentration camps. Given that the boy had previously espoused anti-Semitic views and denied the scale of the Holocaust, this was a genuinely emotional, life-changing experience for him. Meanwhile, Boy B gradually struck up an unexpectedly positive, trusting relationship with his probation officer- a white, middle class female who took a genuine interest in him and offered tremendous support throughout the Channel process. This contradicted his perceptions of western antipathy towards Muslim communities as well as the lack of respect he had previously held for females. As both examples demonstrate, it can be much harder to dislike or hate a group of people when you actually meet and listen to them. Therefore, although every Prevent case study is shaped by personal experiences and bespoke support is provided to cater for individual vulnerabilities, broad themes can often emerge. 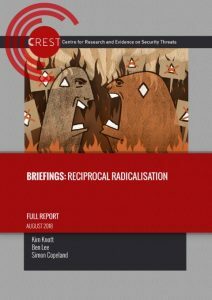 And so, while Islamist and radical right ideologies often feed off and provoke each other, resulting in language and methodology that is actually quite similar, the support that we put in place to safeguard people from violent extremism can also be similar, regardless of what specific type of ideology is present. Ultimately, regardless of whether radicalisation is reciprocal, cumulative or interactive, in Prevent we challenge all forms of hate and extremism and we support vulnerable individuals through life-changing, positive interventions. The above examples underline how important this work is. Sean Arbuthnot is a training consultant and a local Prevent Coordinator for Leicestershire. As a former police detective he fulfilled a number of frontline, specialist and supervisory roles over a 12-year career in Northern Ireland and the Midlands. During his time as a police Prevent Officer he was responsible for the practical implementation of Prevent, personally supporting vulnerable individuals at risk of various types of extremism, including far-right and Islamist-inspired violent ideologies. Currently a local Prevent Coordinator, he retains an up-to-date knowledge of this complex field as he provides strategic management and support for local Prevent activity, community engagement and youth outreach.